A local power generator has chosen to have their archive recorded on microfilm rather than scanning into digital format (.tif, .pdf or .jpg files). Their reasoning is hard to argue with – microfilm has a ‘life’ of over 500 years whereas images stored on digital media such as memory sticks, CD’s or DVD’s and even some hard drives can have a ‘life’ of only 10 -15 years – much less if you let the toddler in the house play with CD or DVD discs! 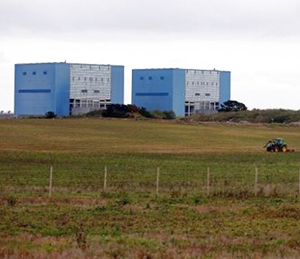 As nuclear operators sometimes need to be able to recall records up to 100 years after the site is decommissioned this method of archiving makes enormous sense. Add to that the fact that microfilm needs only a light source and a magnifying glass to be able to read the image (in the worst case scenario) then being able to access the data on the image quickly could be critical. 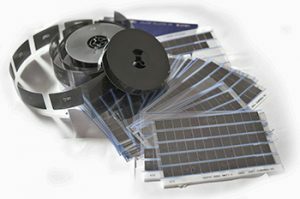 Our client has commissioned us to microfilm their documents in both 16mm and 35mm microfilm in both roll film and microfiche formats and index them to replicate their own filing systems for fast and easy access. Documents are collected from the client using our own uniformed staff and vehicles, sorted out and then filmed by security cleared staff. The film is then processed and output as either roll film or microfiche and returned along with the original documents to the client. It’s reassuring to know that these vital records can be accessed by anyone who needs them for hundreds of years to come!